Stratford garage doors from Amarr offer more than 150 designs for homeowners to choose from. These doors have a classic, timeless elegance to them that suits nearly any style of home. Whether you prefer garage doors with short panels and rectangular windows or doors with longer panels and decorative panels, you can find the perfect one for your home from Stratford. At Action Garage Door Repair Specialists, we offer a wide selection of Stratford garage doors for homeowners in Fort Worth, Dallas, Austin, Houston, and San Antonio, as well as the surrounding areas. You can count on us to help you find the ideal garage door from Stratford for your home. 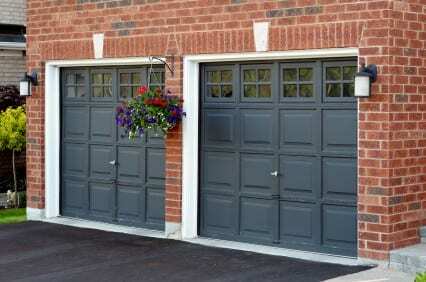 Stratford overhead garage doors are made from high-quality standard gauge steel that’s built to last for many years. These doors are highly durable and able to hold up well in severe weather conditions over the years. When you want a strong, low maintenance garage door that enhances your home’s exterior, Stratford offers a great selection to choose from. Stratford doors include mosaic window options that can add visual appeal to your garage, as well as safety features to lower the risk of injuries. When you choose a Stratford garage door for your home, you’ll also be getting a door that’s more energy efficient than usual thanks to high-quality insulation. These doors are also built to withstand strong gusts of wind, so you’ll have a reduced risk of damage during storms. Our experts at Action Garage Door Repair Specialists can provide you with help choosing from among the many design options that are available for Stratford doors. When you’re looking for a new garage door for your home, there are several types of garage doors available. The Stratford collection from Amarr includes different door designs to consider, such as short, long, ribbed and flush. You’ll also find mosaic window options that can make your garage door look visually striking. Stratford offers traditional garage door styles that suit older homes and more contemporary garage door styles for newer homes. No matter what type of style your home has, the professionals at Action Garage Door Repair Specialists excel at helping homeowners make the perfect selection. Stratford garage doors are available in more than 500 colors, so you don’t have to worry about having limited color options. Our experts can help you select the right colors for your new garage door based on certain factors, such as the color of your home’s exterior and your personal preferences. With our help, you can carefully go through the different types of garage doors available from Stratford and choose the one that best suits your home. Choosing a new garage door is a long-term investment that can affect your home’s value. That’s why it’s so important to choose from among the best garage doors available. Stratford garage doors from Amarr are a common choice among homeowners thanks to the exceptional features they offer and the style they provide. These doors include SafeGuard Pinch Protection, which lowers the risk of having your fingers injured while using your garage door. CFC-free insulation also improves the energy efficiency of these doors, which can save you a considerable amount of money in utility bills. With wind load doors and standard gauge steel construction, you’ll also be getting a door that will most likely last you for several years. Stratford garage doors have a classic style and a number of design options that make these products suitable for all different types of homes. When you’re ready to consider your options in Stratford doors, our team of garage door experts at Action Garage Door Repair Specialists is ready to help. DuraSafe Technology: This pinch-resistant technology utilizes tongue and groove joints to ensure a tight fit. It also helps to keep dust, dirt, and inclement weather out of your garage. Exclusive Warranty: All Stratford garage doors carry a fifteen-year paint and finish warranty with a one-year hardware warranty. Insulated: With double-layered insulated construction, this 25-gauge steel door provides energy-efficient protection from the heat and cold. Affordable: The Stratford offers an affordable option to those looking to add a high-quality Amarr garage door to their home. Secure: Stratford doors feature flush-mount center hinges, secure end hinges, and tamper resistant bottom brackets, securing your home from unwanted invaders. Amarr garage doors are certainly some of the best in the business. That is why we are proud to offer them, along with our other exclusive products and services, to our customers. Find out why Action Garage Door continues to dominate the competition.